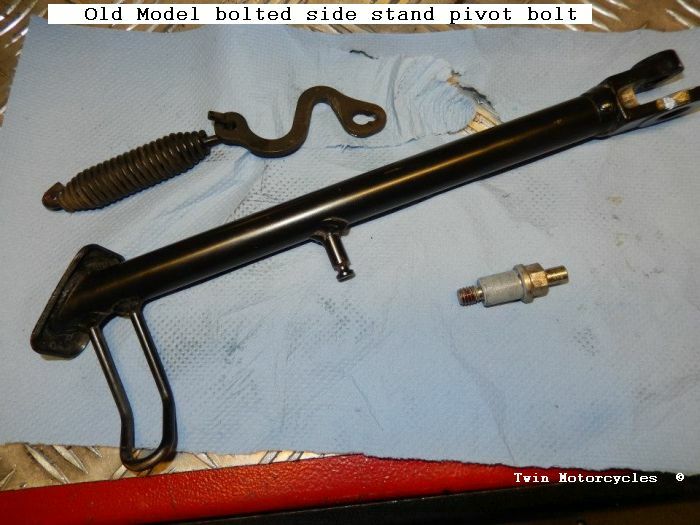 6-9-2013 - Or how to upgrade your old style bolted side stand pivot to new Model pivot pin with C-Clip. 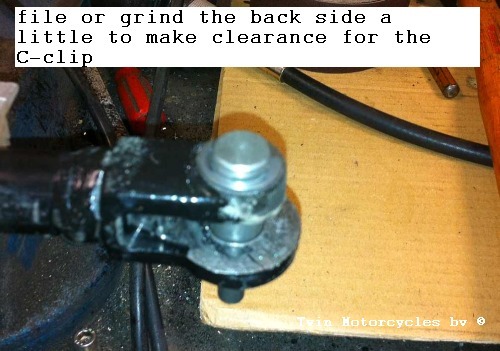 The Old Buell XB 9-12 models 2004-2005 bolted side stand pivot will come loose. We have done many repairs and if you check if the bolt is thightend regularly this is not problem, but we also see they break a lot. Here we explain you how we recommand to repair it before it breaks when it ins parked on the side stand and you don't expect this. We really think it is very dangerous to leave the old side stand on the bike cause it can fall when you try to use the side stand. 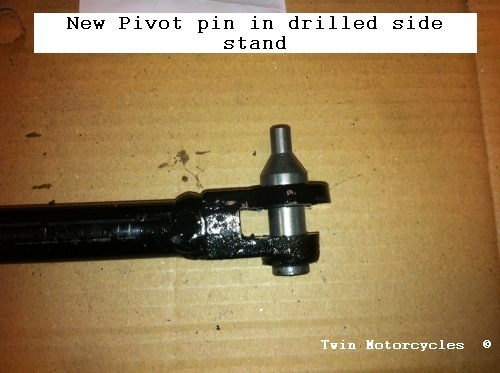 Now officially you need to buy the upgraded side stand with a new model pivot bolt, as the old model pivot bolt is no longer available, the new style pivot is a free floating pin, locked with a C-clip so this will never come loose again. But if the side stand tabs are just a little bend and there are no cracks, you can upgrade this to be used with the new model pivot. 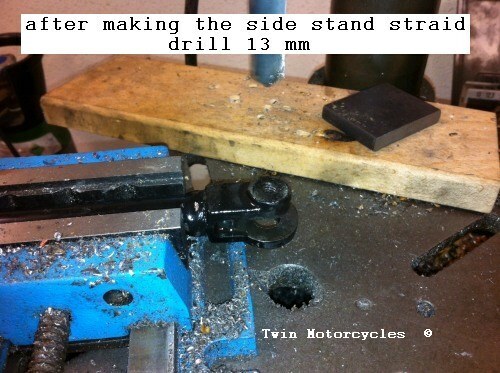 First straighten the bend side stand tabs (llok in the qabove picture), you need to drill roughly with a 13mm drill to give it enough clearance to be free floating. Ready for some black paint and mount it back with some grease.